Our proposed project puts forward an obstacle avoider robotic vehicle that uses ultrasonic sensors for this purpose. The system uses an 8051 family microprocessor to achieve this functionality. The robotic vehicle is designed to first track and avoid any kind of obstacles that comes it’s way. 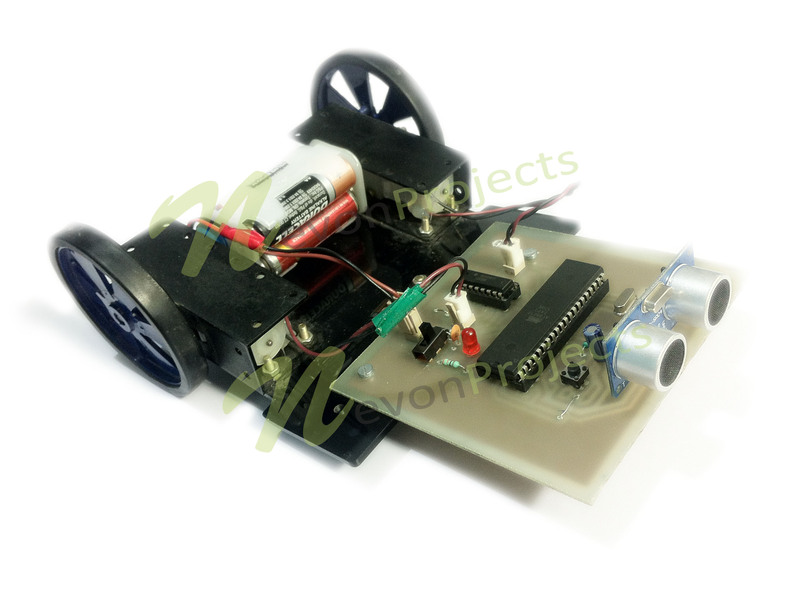 The vehicle achieves this smart functionality with the help of ultrasonic sensors coupled with an 8051 microprocessor and motors. The entire system combined gives the vehicle an intelligent object detection and obstacle avoidance scheme. This system allows the vehicle to guide itself in case it encounters any obstacle. The obstacle detection is done using the ultrasonic sensor. This is detected and a signal is passed on to the 8051 microcontroller. 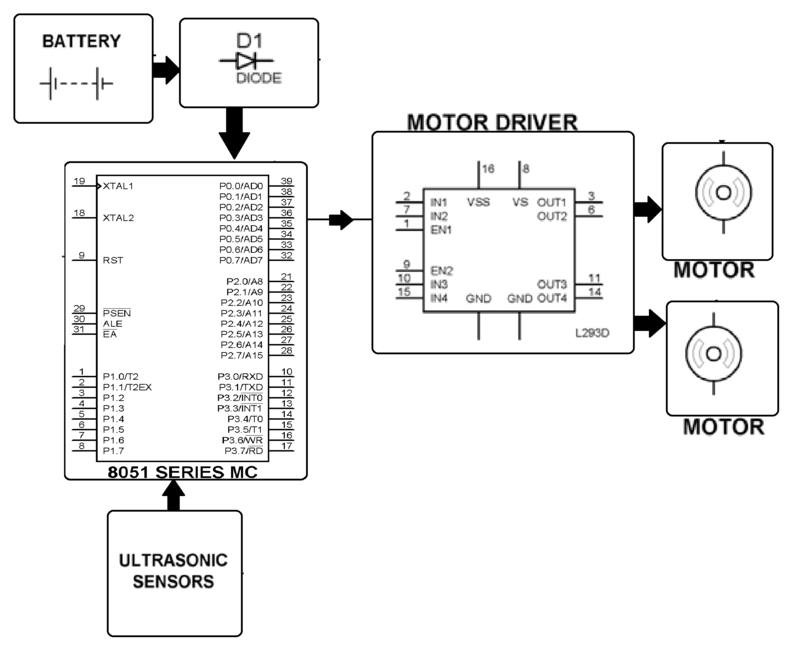 On receiving the signal it guides the vehicle in another direction by actuating the motors through the motor driver IC.